I hear a lot of rant from friends trying to cut some belly fats or achieving some six-pack. Well, weight loss is a long tedious process. It requires heroic effort and a ton of patience, plus a dozen of discipline. But whilst difficult, we can make it a bit, or a lot, easier. There are ‘cheats’ that can speed up weight loss; one such way is with weight loss drinks. So, try these 15 fat burning drinks, if you want to lose weight faster. 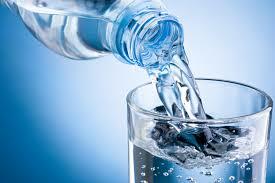 Water is the best drink to speed up metabolism and induce weight loss. Aside from that fact that water is cheap, it’s really your best buddy. Word of caution though, avoid adding flavoured syrups or powder to water, as it adds calories to the water. Pineapple Squash – Crush pineapple pieces and mint leaves together, add ice cubes and water. Mint is cooling, cleanses the blood, flushes the toxins, and is good for digestion. Pineapple, on the other hand, is rich in vitamin A and C, fights cold, nourishes the bones and improves digestion. See? Not only did you spice up your water, you made it extra healthy. Lime water – Good old lime water or nimbu paani is an all-time favourite accompaniment with food in a restaurant. Nimbu paani is beneficial for skin care, stomach problems, digestive problems, purifying blood, improving oral health, reducing high blood pressure, fighting infections and reducing your chances of arthritis and rheumatism. Ginger – Soak some slices of ginger in hot water and then add ice cubes. So, while you’re into your weight loss quest, this ginger water can can fight colds, improve appetite and digestion, alleviate constipation and increase energy. Lemongrass (tanglad in Filipino) – You may have tried lemongrass in tea or in soups, but you can take a sprig and immerse it in water for few hours. Lemongrass has many health benefits such curing colds, reducing cholesterol, cleansing the body, improving circulation, and even enhancing the health condition of your skin. So, while you’re busy achieving your dream body, you can go the extra mile at improving your skin tone, too.